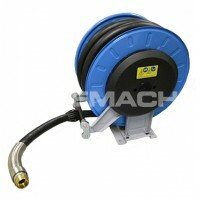 The Piusi Automatic Diesel Hose Reel has been designed specifically to work with low pressure diesel pumping systems such as vehicle refuelling applications. 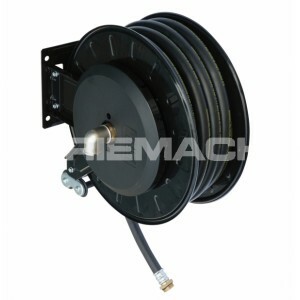 Popular with bunded fuel tank manufacturers for mounting directly onto the storage tank, this retractable diesel fuel hose reel can be supplied complete with a range of hose lengths, or as a bare reel should the user wish to add their own choice of hose. 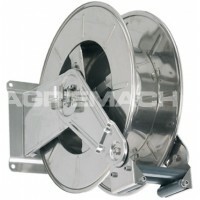 These diesel hose reels benefit from a sturdy steel structure for use in heavy duty environments, adjustable arm brackets for easy positioning and a protected latch mechanism to prevent injury to the hands when operating the reel. 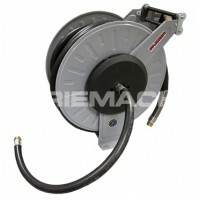 The bare version of the Piusi retractable diesel hose reel comes with a protection spring, hose stop and hose clamp for the easy connection of the user's choice of hose.